Earlier this summer, we went to meet with the What Hi-FI? team to see their £1M state of the art test facilities, where they test and review the latest and greatest consumer Hi-Fi products. What Hi-Fi? are extremely supportive and are the main media partner of the Audio T Sound & Vision Bristol Show, the UK's No1 Hi-FI show and the defacto place to be if you're a manufacturer or an enthusiast! What H-Fi? give the Bristol show extensive coverage in the magazine and online in the run up to, during and after the event and are ever present at the show providing live demonstrations of cutting edge Hi-Fi technology as well as offering great prizes for the show competition. 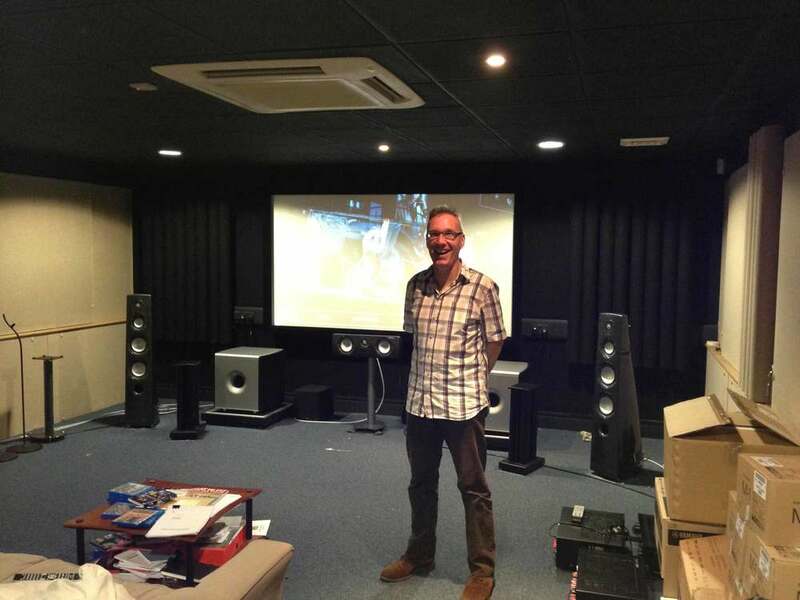 Jerry Lewin, Audio T's CFO and Hi-Fi industry veteran, film lover and serial gigger (tell us about the Stones at Glasto Jezza!) had never seen the test facilities before (*Ed. I already made the visit having been involved in a WHF reader test) so it was an opportunity to review the review facilities, so to speak and see where the plethora of equipment is put through its paces. There are six testing rooms, the main four being: Hi-Fi, Home Cinema/AV, TV and MP3, which is a small room for testing ermmmmmmm MP3 players, mini and all in one systems, headphones and phones etc. You can read more about the facilities here Though I have been reliably informed that this is due for a bit of makeover. We will be running a competition in July and four lucky Audio T customers will win a trip to WHF to see the test facilities, and a three month FREE subscription to the electronic or print version of the magazine. Our visit was very informative and productive. The upshot of this is that we will be further raising our profile by making use of several What HiFi? services including the weekly e-mail service when we need to communicate major sales, special offers, promotions and events. We will also be joining the What Hi-Fi? Shop, so that anyone searching for products through What HiFI? will see the premium Hi-Fi products that are avialable in store and online. We look forward to our continued associatiion with What Hi-Fi? and continuing to bringing the best in Hi-Fi to Audio T customers old and new.